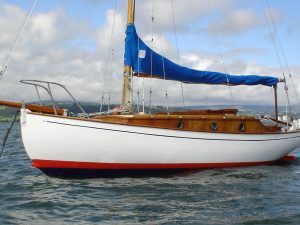 A 1917 TRADITIONAL PASSENGER LAUNCH ideal as a business opportunity or motor-yacht conversion, built at Southend-on-Sea, Essex. 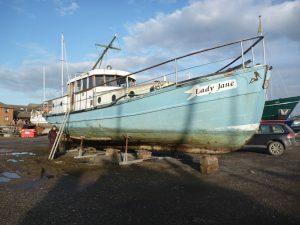 A Traditional River Thames Passenger Launch built in 1917 at Southend-on-Sea, Essex. 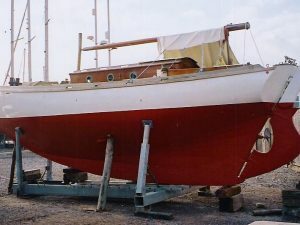 Carvel pitch-pine hull, copper fastened to oak frames and timbers. Foreward saloon, 10′ x 10′ with covered central helm position. Large aft cockpit, 25′ x 10′ with canopy over, currently with seating for twelve passengers. Thornycroft four cylinder 4D 60hp diesel engine giving a cruising speed of about 8 knots and a maximum speed of about 10 knots. Bower anchor and chain, 14 lifejackets, electric bilge pumps. The Bay Queen has worked all her life on the River Thames as a passenger launch. 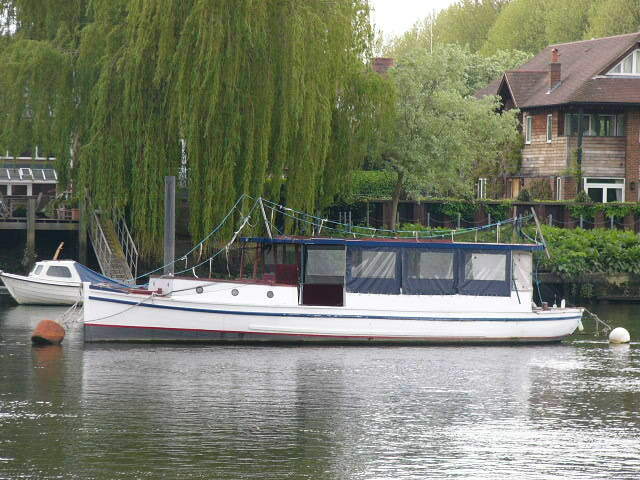 Currently she has a license for up to twelve passengers plus crew and is ideal for family hire or small office parties, however subject to the usual DTI regulations she is quite capable of carry many more passengers. After ten years in the same professional ownership the family are expanding their business with a number of larger vessels so Bay Queen is seriously for sale with offers considered. Alternatively Bay Queen would make an ideal liveaboard or motor-yacht conversion.